Halo Tribeca-Halo Tribeca E-liquid by Halo is a new ultra-smooth tobacco e-liquid with fantastic flavor all its own. Halo Tribeca E-liquid has definitive tobacco undertones with a semi-sweet top note that is reminiscent of RY4 e-liquid and other treasured tobacco e-liquid blends with slight hints of vanilla and caramel. Halo Tribeca E-liquid delivers a solid throat hit and excellent vapor production. 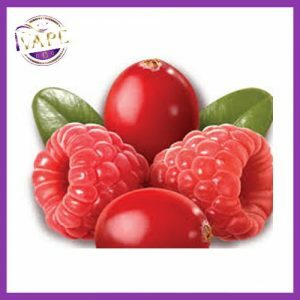 All Halo E-liquid and E-Juice uses premium FDA approved natural and artificial flavoring to offer a rich taste that is never too overpowering. Our team has worked hundreds of hours perfecting our e-liquid flavor and e-juice flavor mixtures, ensuring you get fantastic tasting e-juice. In addition, Halo E-liquid and E-Juice never has that nasty after-taste found in the cheaper overseas products. Tribeca E-liquid by Halo is a new ultra-smooth tobacco e-liquid with fantastic flavor all its own. Tribeca E-liquid has definitive tobacco undertones with a semi-sweet top note that is reminiscent of RY4 e-liquid and other treasured tobacco e-liquid blends with slight hints of vanilla and caramel. Tribeca E-liquid delivers a solid throat hit and excellent vapor production. We are sorry, but we do not accept the exchange / return of liquids after purchase. Health and safety reasons. Please make sure that you picked proper flavour and proper nicotine level. Cuimsíonn an táirge seo nicitín, ar substaint an-andúile é. This product contains nicotine which is a highly addictive substance. Harmful in contact with skin. If medical advice is needed, have product container or label at hand. KEEP OUT OF REACH OF CHILDREN. Read label before use. IF ON SKIN: Wash with plenty of water and soap. Call a POISON CENTER, doctor, physician, if you feel unwell. Dispose of contents/container in accordance with regional regulation. If medical advice is needed, have product container or label at hand. This product is not recommended for use by non-smokers.Product for use with e-cigarettes only. Store in cool & dry place in original package. Women who are pregnant or breastfeeding should seek medical advice.